My sister recently graduated from high school and this was her senior quote. She’s a very eccentric person, like myself, and I wanted my gift to be something special. Although she had sent me an image of something she liked, and I decided to make it similar; but representing more of her unique personality. 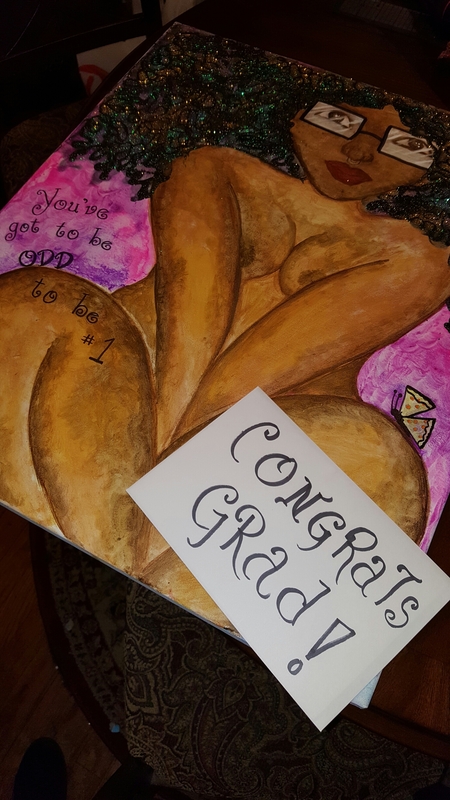 To customize the painting; I created a curvy woman with glasses, an afro, and a nose ring–just like my sister. Also, to add a splash of oddness, I decided to disguise two pieces of pizza–her favorite food–in the butterfly. When I delivered the gift, she was so surprised and happy. She immediately exclaimed, “It’s me!” Then, when she read her senior quote, she was absolutely ecstatic. I’m extremely pleased with this piece. 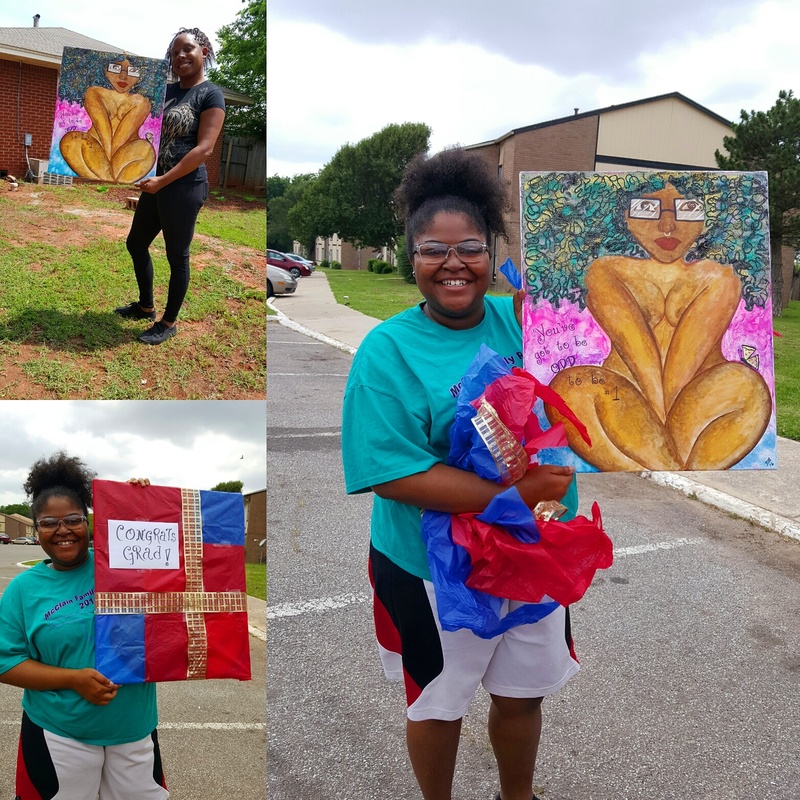 The afro is a rainbow of glitter that sparkles and gives the piece some extra pizazz. If you’d like a unique gift to present to someone, contact me! 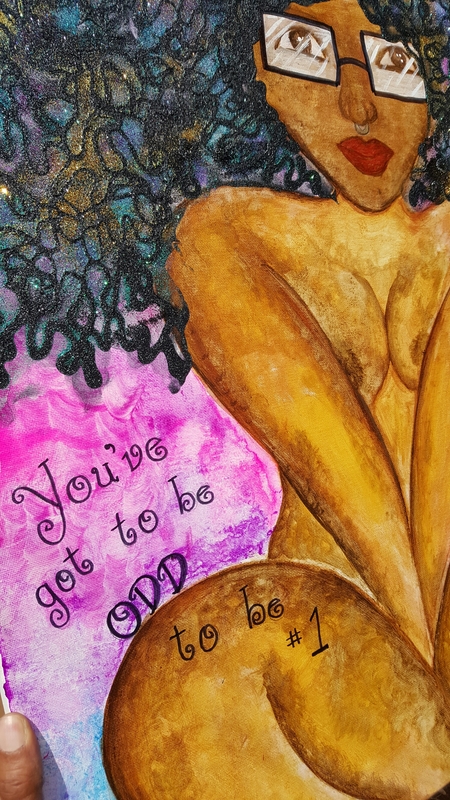 This entry was posted in Creative Showcase (not for sale) and tagged art, artist, black art, inspirational, unicorn, unique, woman. Bookmark the permalink.